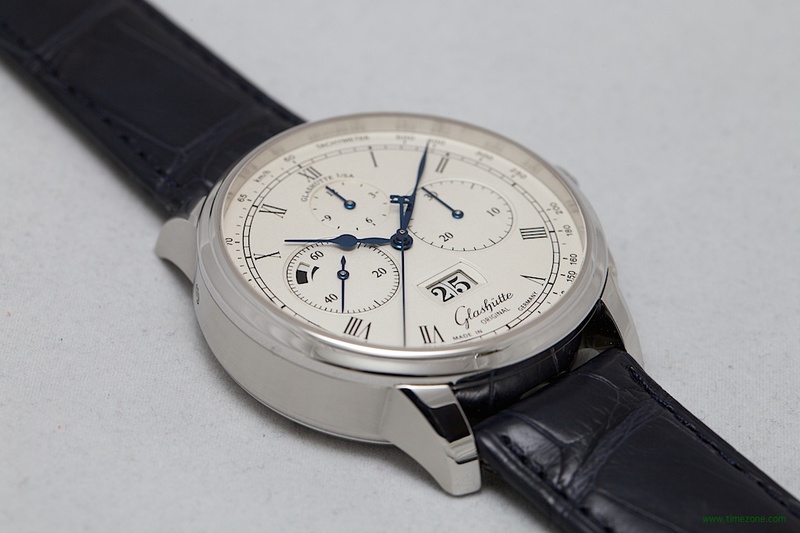 For 2014, Glashütte Original celebrates the chronograph and its new manufacture Calibre 37 column wheel chronograph movement made entirely in Glashütte. 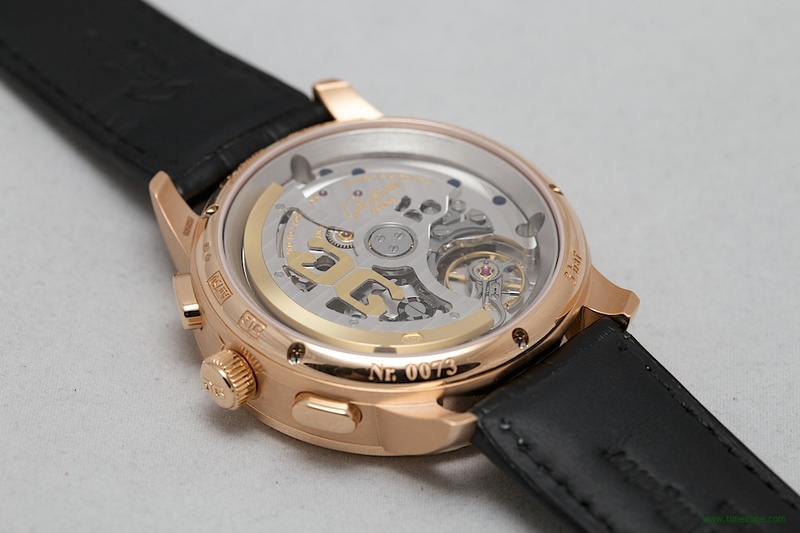 With a 70-hour power reserve, the new movement features the longest power reserve for the manufactory and is especially notable since this is managed with one spring barrel. The new Calibre 37 debuts in two new models, the elegant Senator Chronograph Panorama Date and the sporty Seventies Chronograph Panorama Date. 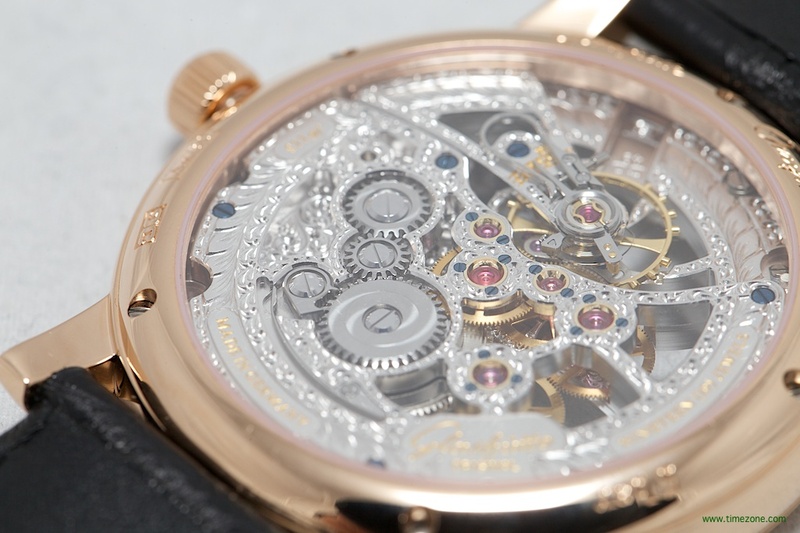 Also new is the PanoMaticInverse that makes its automatic movement with dual swan-neck regulator visible on the dial. 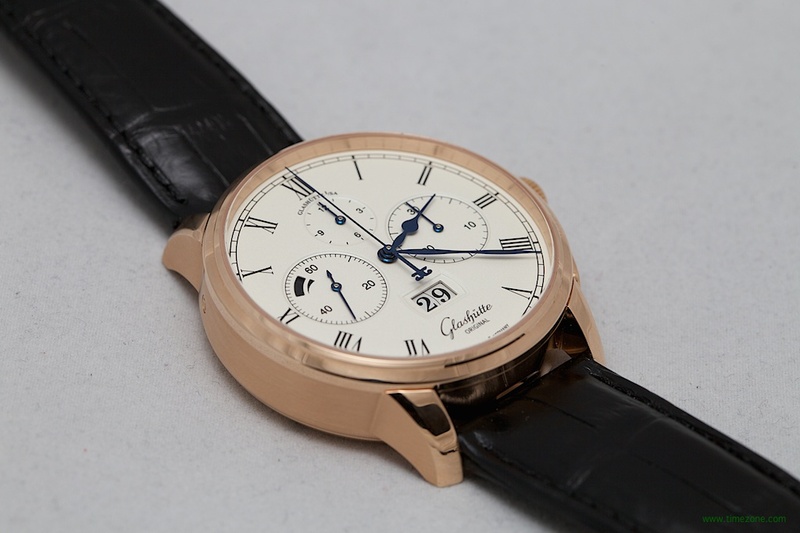 Then, Glashütte Original highlights its finishing expertise with the beautiful Senator Manual Winding Skeletonised Edition. 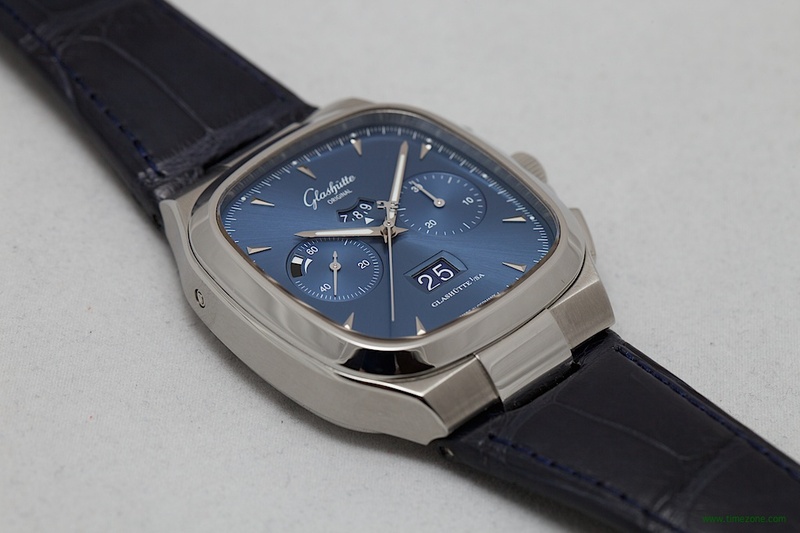 For all the new models, special emphasis is placed on the dial quality. 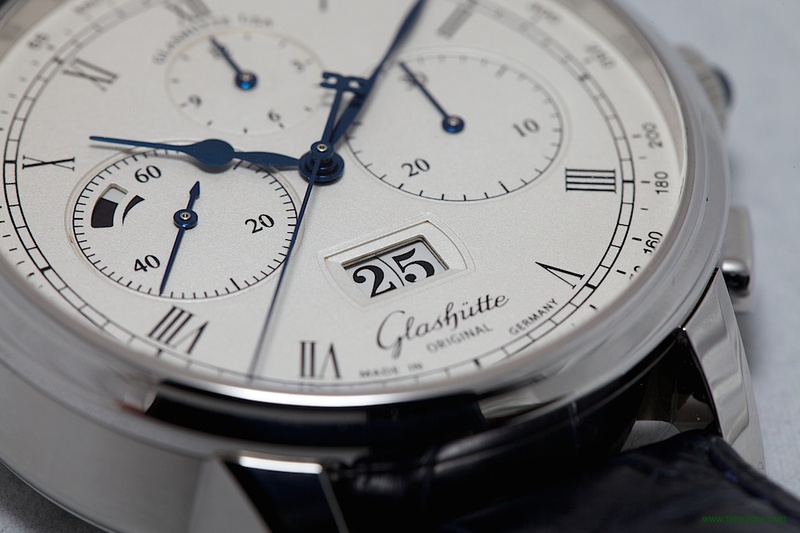 Having acquired its own dial production factory last year, Glashütte Original is now able to finish its dials with high-grade aesthetics such as traditional German frosted silver, brushed sunray finishing, and even small details such as matching the same colour for the date wheel as the dial. Conceived as a permanent part of the Senator collection, the new Senator Chronograph Panorama Date is available two variation. The first features an 18-carat red gold case that measures 42mm x 14mm with a slim bezel that frames a lacquered silver grained dial. Retail is $31,500. The second variation features a platinum case that measures 42mm x 14mm with slim bezel that frames a solid gold dial with a frosted silver finish. 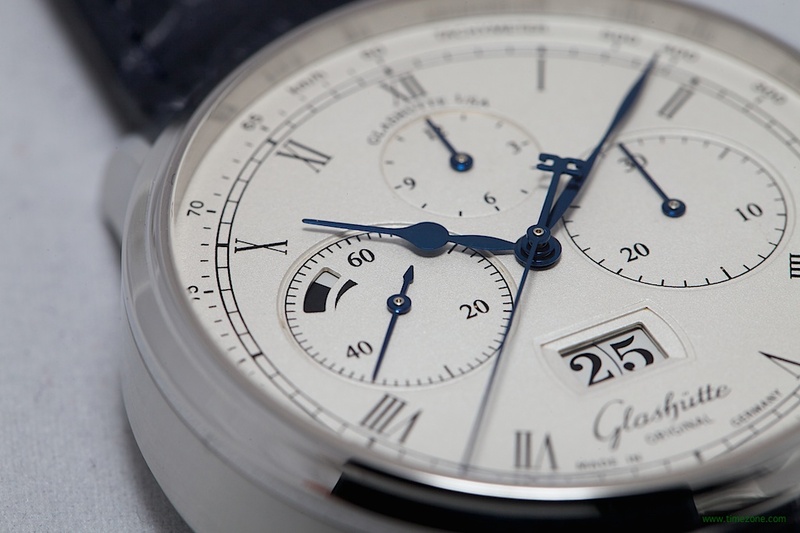 The frosted silver dial is achieved through a traditional German hand-finishing technique known as “silver grinding” (von Hand anreibeversilbert). 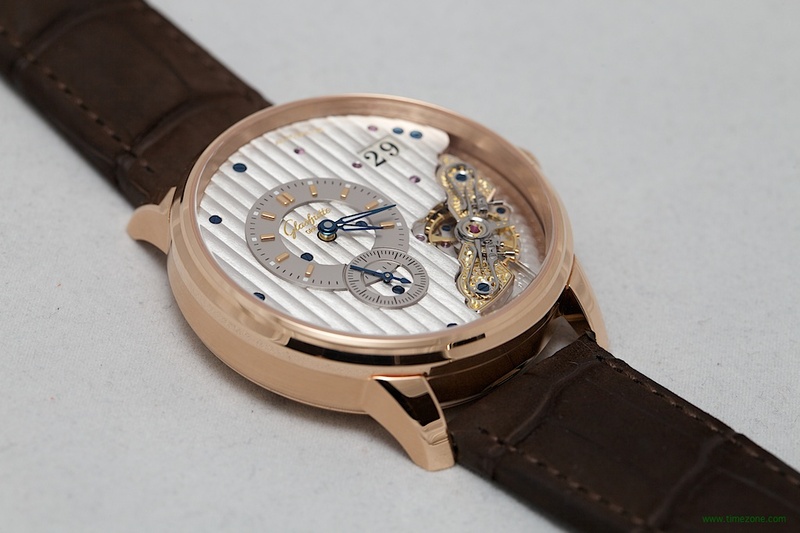 This labour-intensive technique requires applying a wet mixture of fine silver polish and salt with a boars brush onto the gold dial plate to cause a chemical reaction that results in a lustrous, frosted finish. Retail is $55,600. The new Calibre 37-01 is a 65-jewel, fully integrated column wheel chronograph movements made in the Glashütte Original manufactory in Glashütte. 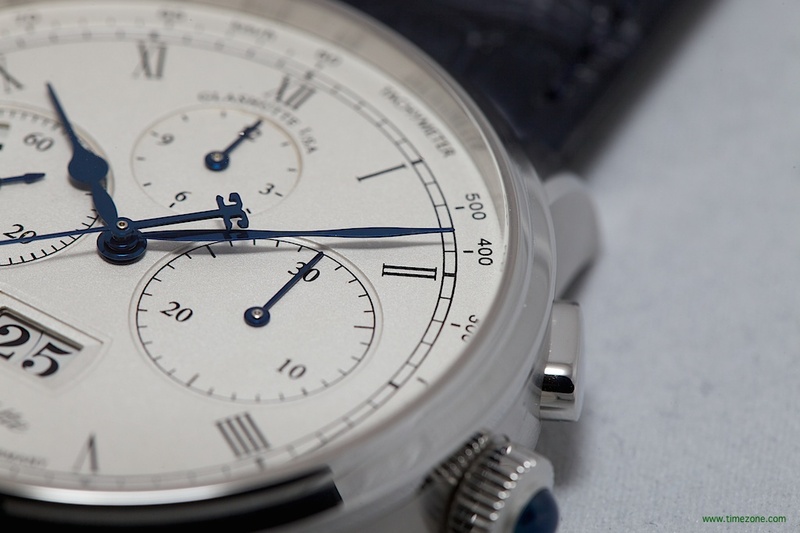 The chronograph movement features a central chronograph hand with flyback function, a 12-hour counter at 12 o’clock, a 30-minute counter at 3 o’clock and a subsidiary seconds with integrated 70-hour power reserve indicator at 9 o’clock. The signature Panorama Date display is located at 6 o’clock. 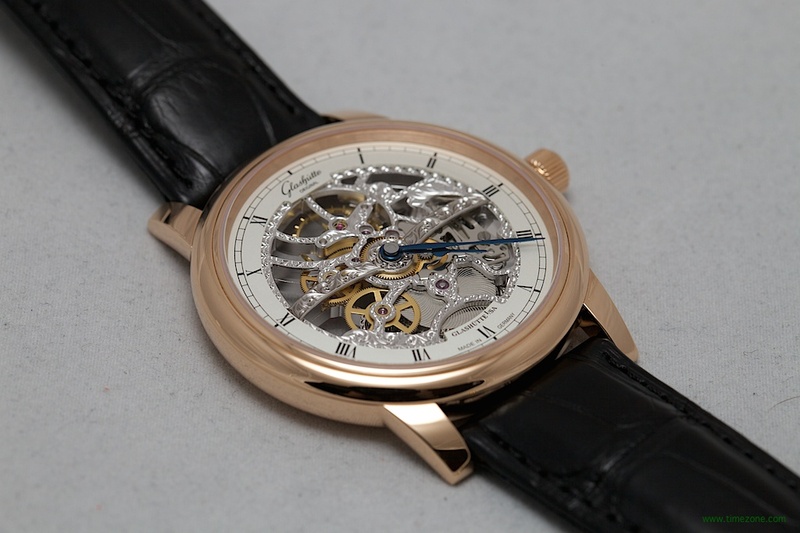 The hand finished movement has bevelled and polished edges, polished steel parts, heat-blued screws, Glashütte stripes on the plate, and a skeletonised rotor with 21-carat gold oscillation weight. 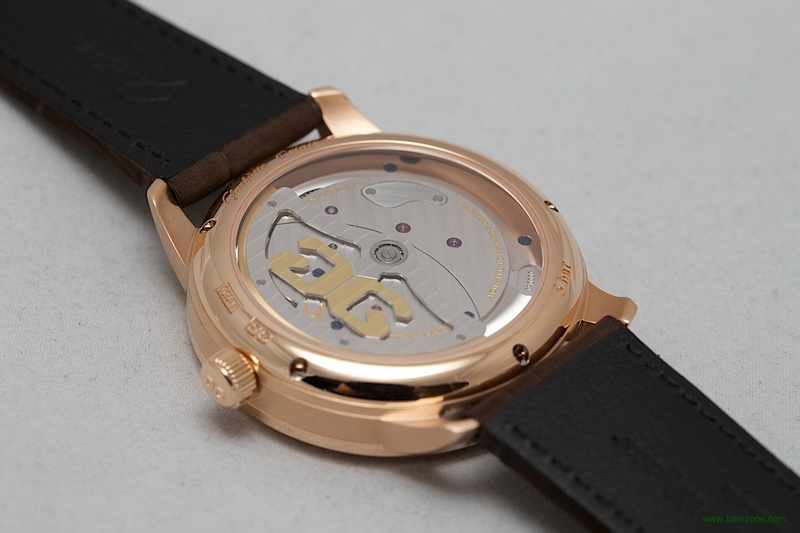 The new Calibre 37-01 chronograph movement is greatly simplified with fewer component parts. 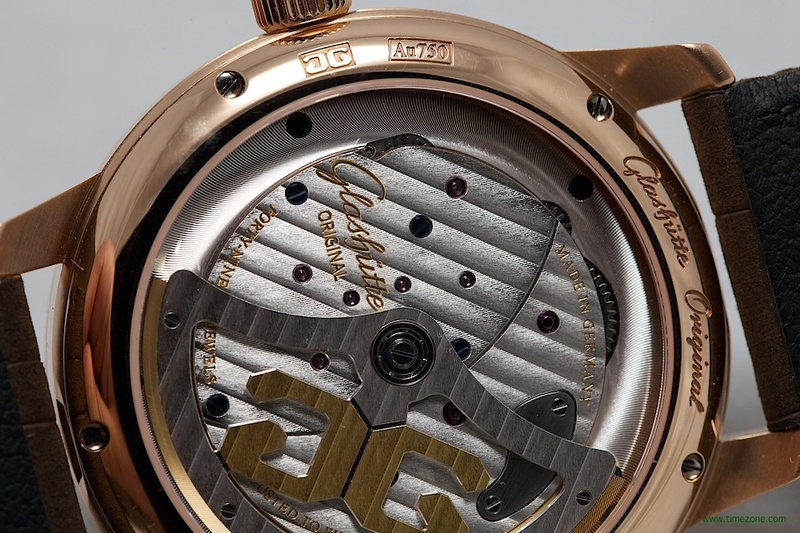 The movement features a bi-directional rotor and the 70-hour power reserve is managed by a single spring barrel. 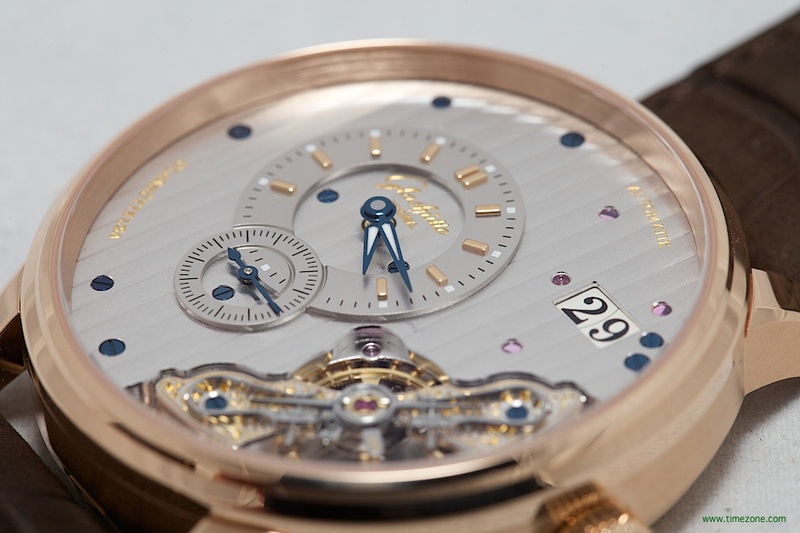 The regulation is performed using four gold screws on the balance rim. 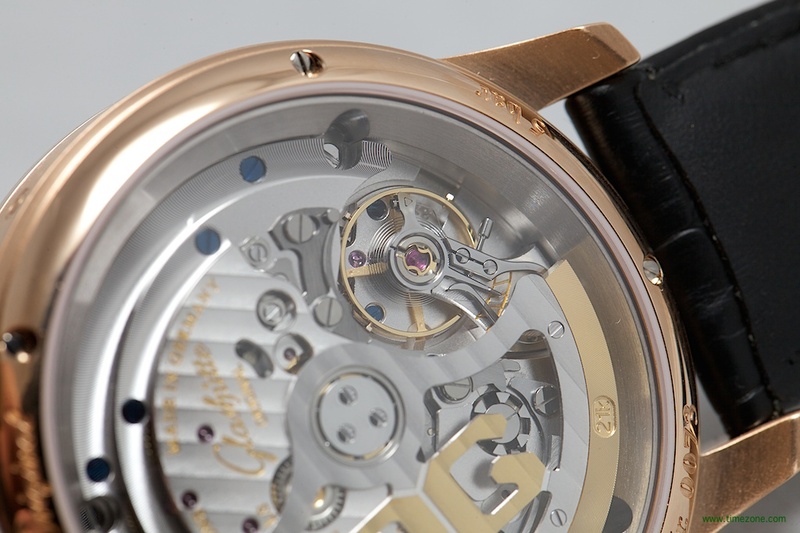 The absence of a regulator on the spring allows the movement to run continuously over a much longer period of time, resulting in increased precision. This year’s sporty chronograph is interpreted in the Seventies Chronograph Panorama Date. The timepieces houses the new Calibre 37-02 integrated column wheel chronograph movement interpreted with a stylish, retro aesthetic. The Seventies Chronograph Panorama Date is available in three variations with dials in galvanised ruthenium, galvanised silver or blue. 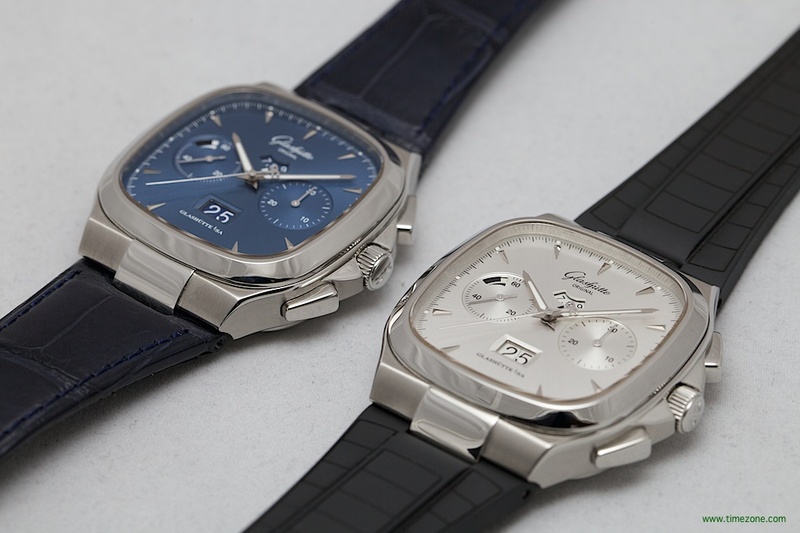 All three timepieces feature the Seventies collection’s soft-cornered square case that measures 40mm x 40mm. The new Calibre 37-02 is a 65-jewel, fully integrated column wheel chronograph movements made in the Glashütte Original manufactory in Glashütte. 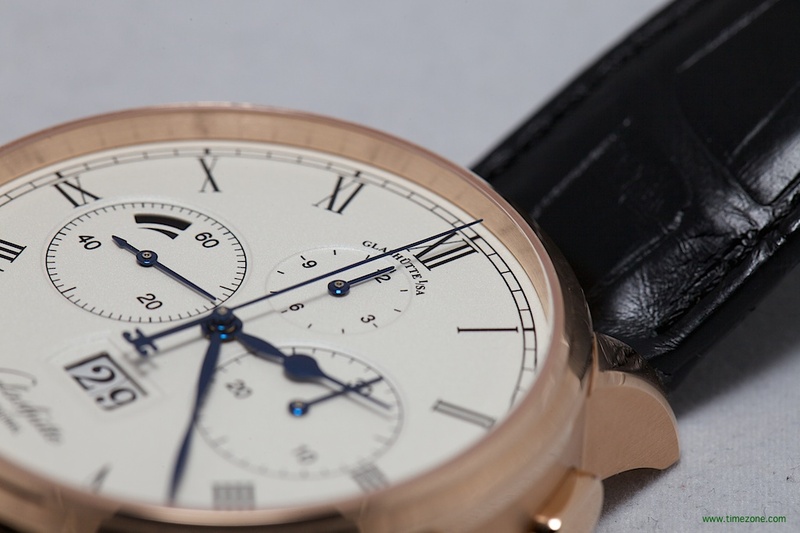 The chronograph movement features a central chronograph hand with flyback function, a 12-hour digital counter at 12 o’clock, a 30-minute counter at 3 o’clock and a subsidiary seconds with integrated 70-hour power reserve indicator at 9 o’clock. The big Panorama Date display is located at 6 o’clock. 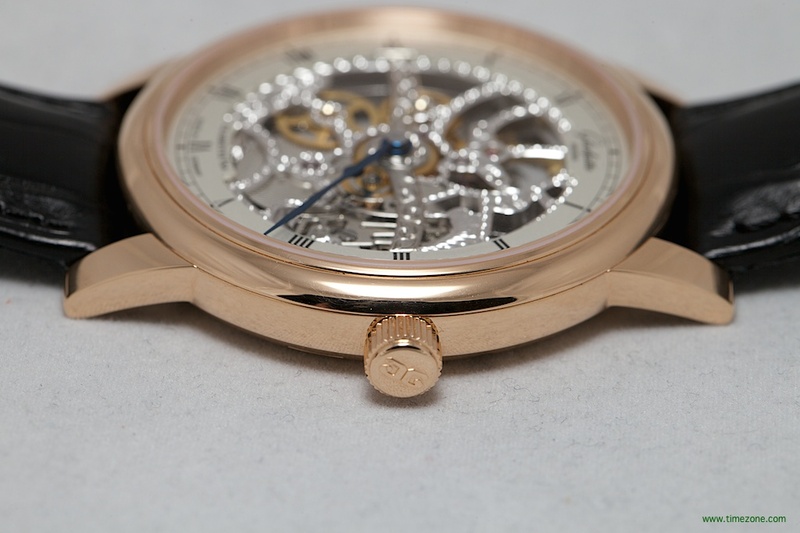 The hand finished movement has bevelled and polished edges, polished steel parts, heat-blued screws, Glashütte stripes on the plate, and a skeletonised rotor with 21-carat gold oscillation weight. 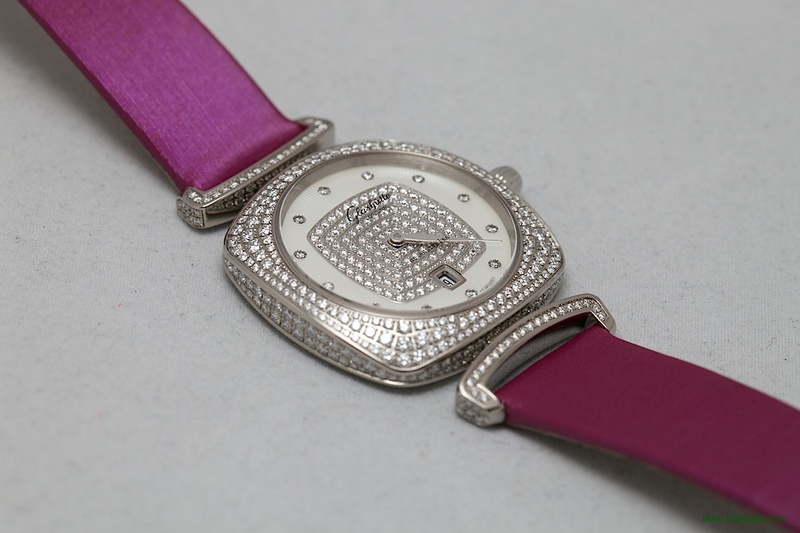 The timepiece is fitted with either a bracelet, alligator strap or rubber strap. Retail is $16,400 on a bracelet and $14,900 on a strap. 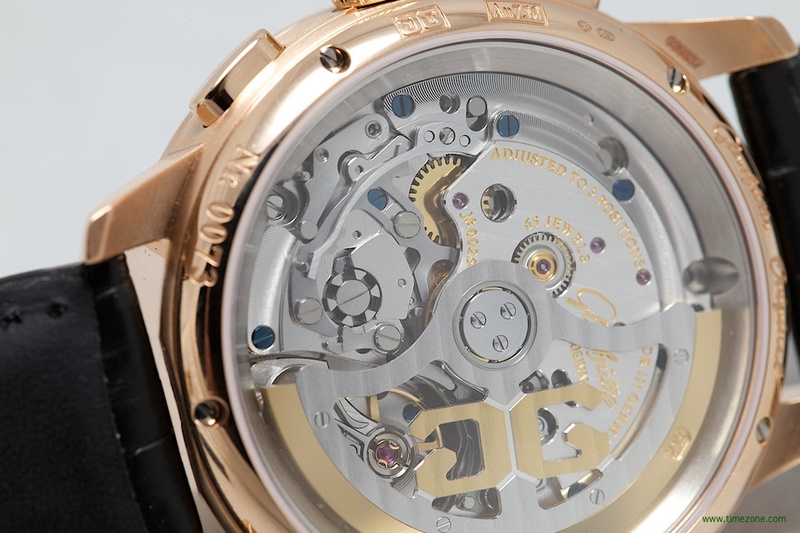 The new PanoMaticInverse reveals its Calibre 91-02 automatic movement on the dial side, made possible by the inverse positioning of the component parts such as the duplex swan-neck fine adjustment. The PanoMaticInverse is available in two variations. 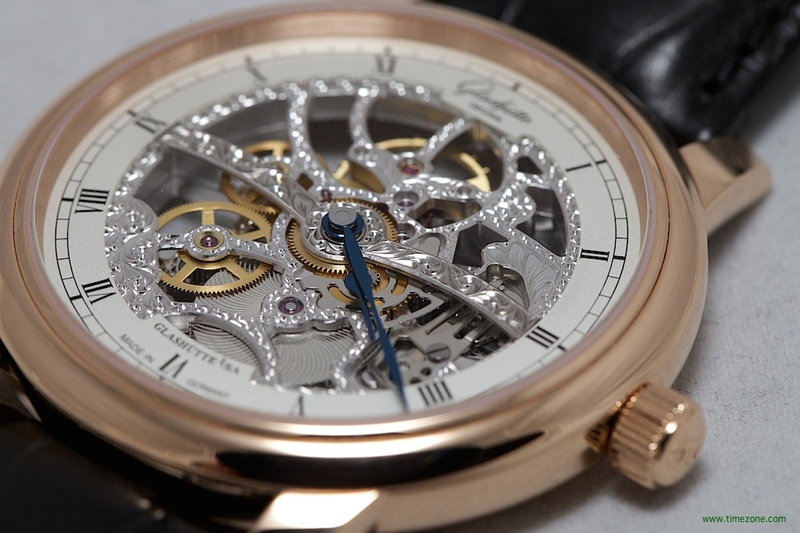 The first features an 18-carat red gold case that measures 42mm in diameter and 12.3mm in height. The galvanised rhodium dial has gold-plated hour marker appliqués and heat-blued steel hands treated with Super-Luminova. 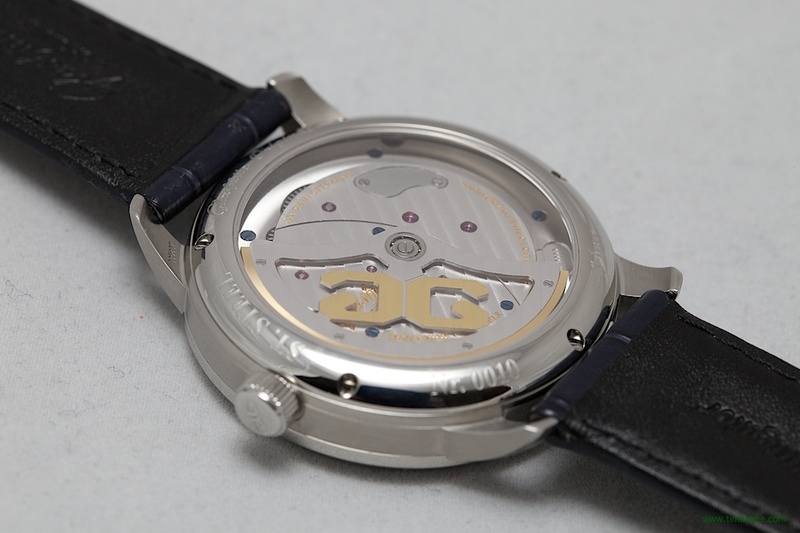 The timepiece is fitted on an alligator strap. Retail is $29,700. 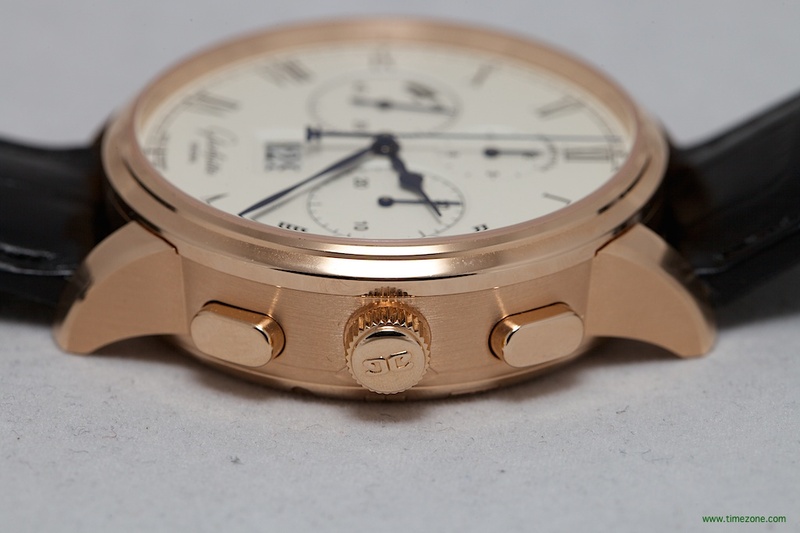 The second features a stainless steel case that measures 42mm in diameter and 12.3mm in height. 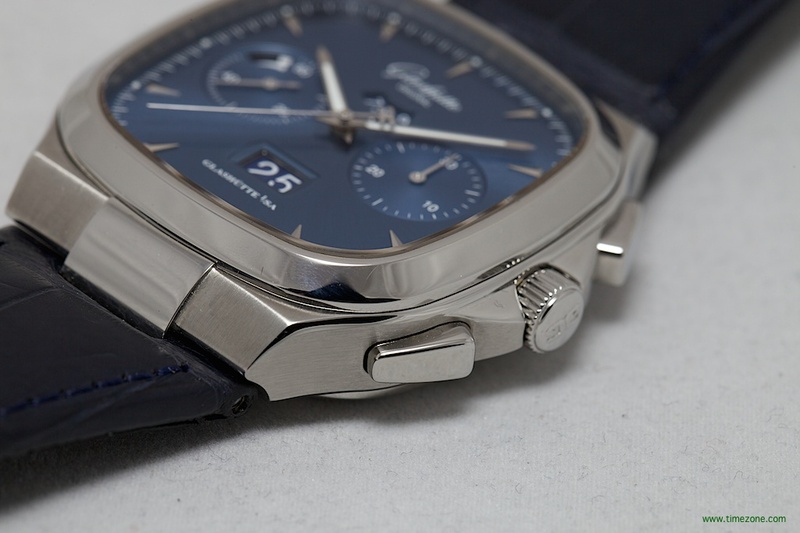 The galvanised rhodium dial has heat-blued steel hour marker appliqués and heat-blued hands treated with Super-Luminova. Retail is $14,900 on a strap and $16,400 on a stainless steel bracelet. 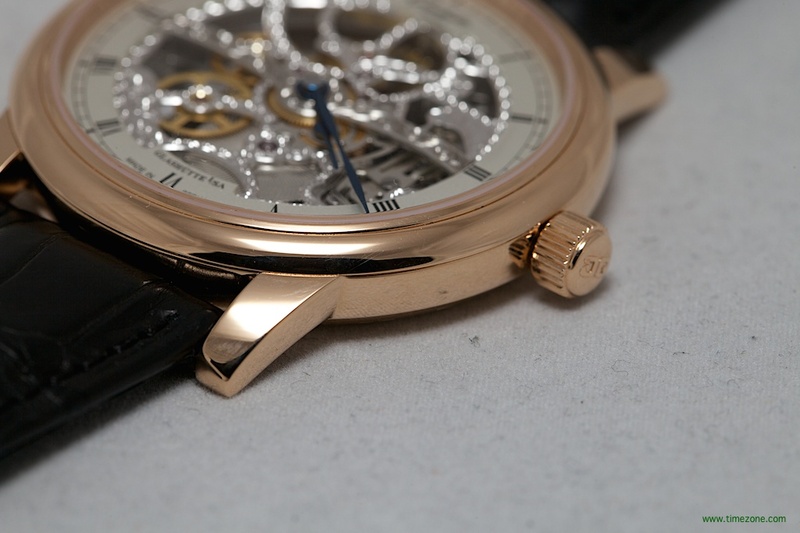 The beautiful Senator Manual Winding Skeletonised Edition demonstrates the manufactory’s finishing expertise with an elaborately skeletonised and hand-engraved Calibre 49-18 manual wind movement. 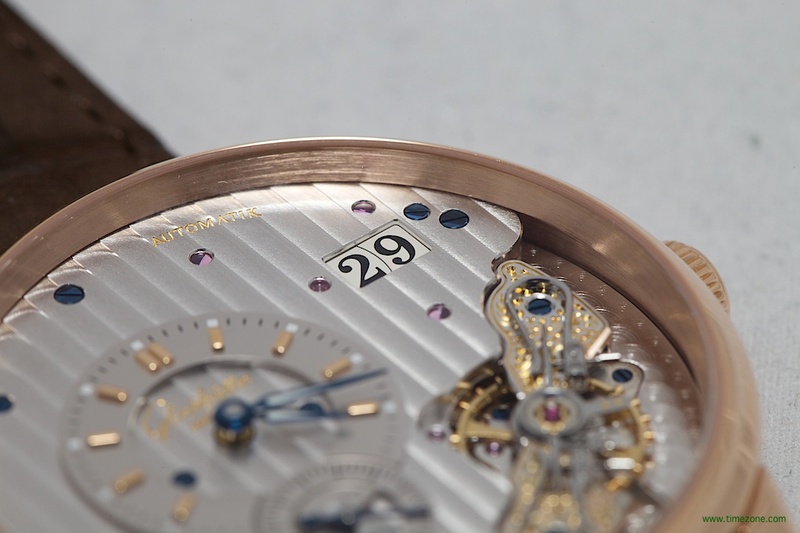 The movement is exquisitely finished with bevelled and polished edges, polished steel parts and heat-blued screws. 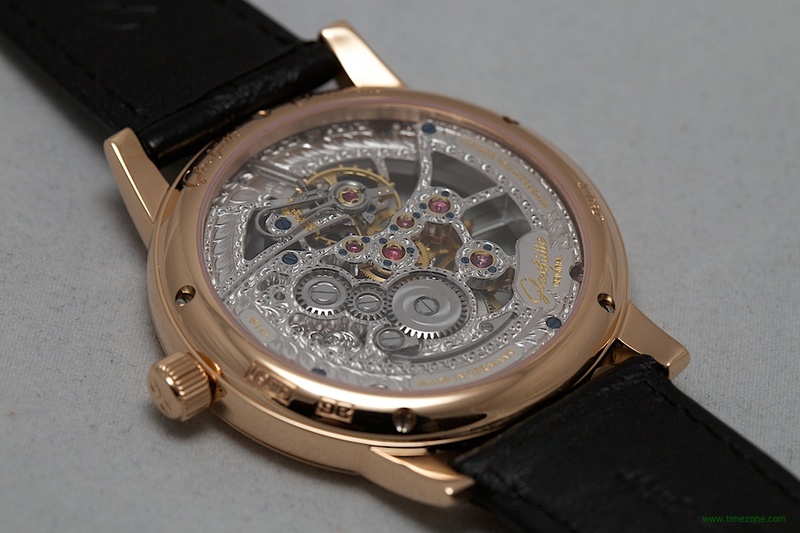 The 18-carat red gold case measures 42 mm x 9.5mm. 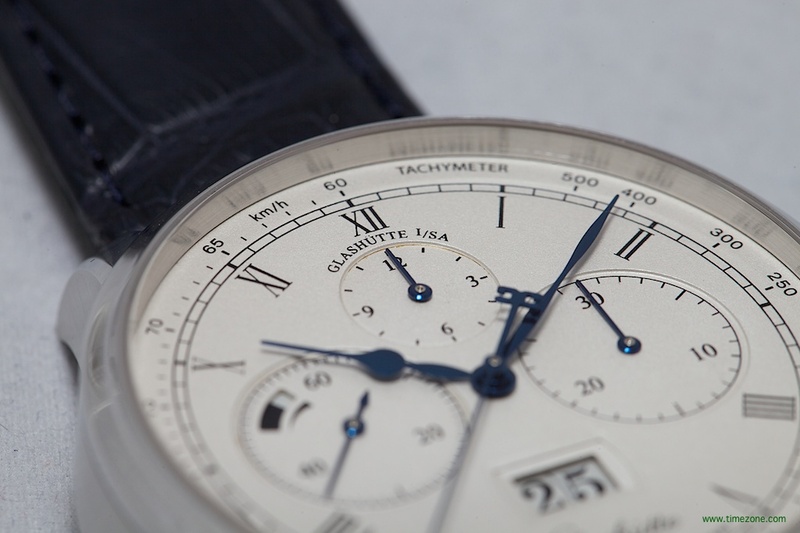 A galvanised silver dial is painted with black Roman numerals and a black railroad minute ring and frames the skeletonised movement. 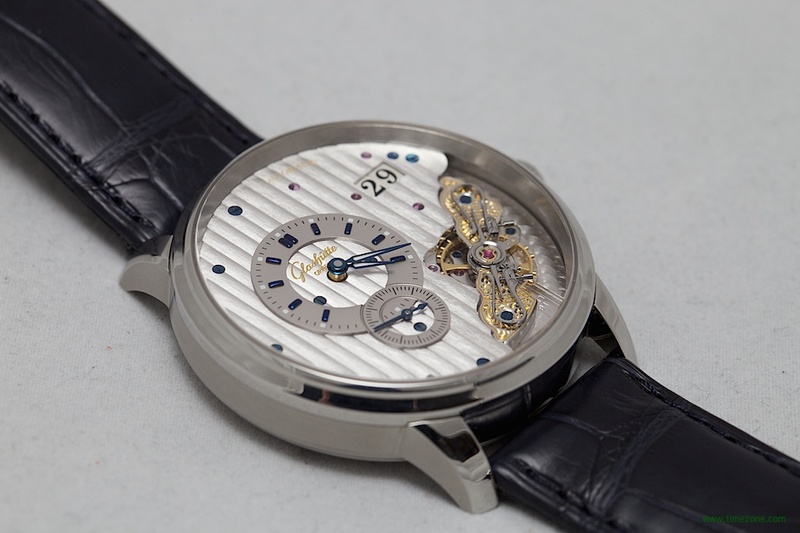 The timepiece is fitted with two heat-blued steel hands. Retail is $37,100. 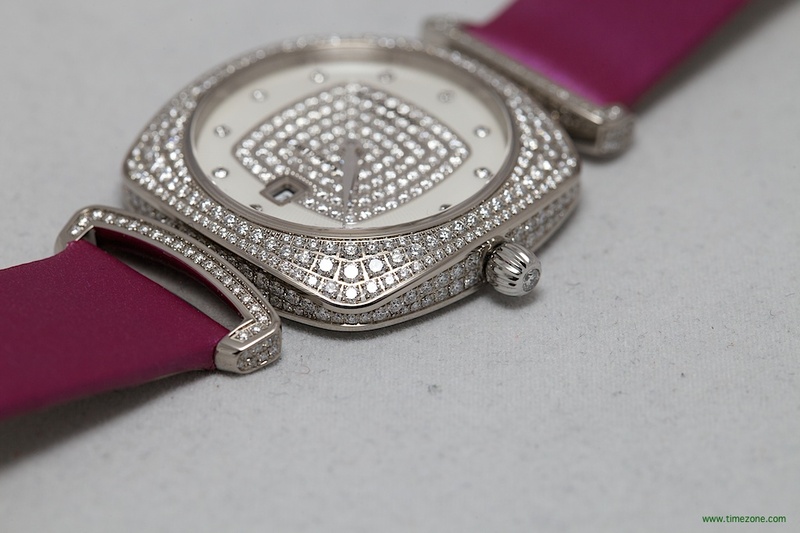 Finally, for ladies Glashütte Original expands its Pavonina collection with a boutique exclusive jewellery variation fully set with 513 brillant-cut diamonds (~2.5 total carat weight). 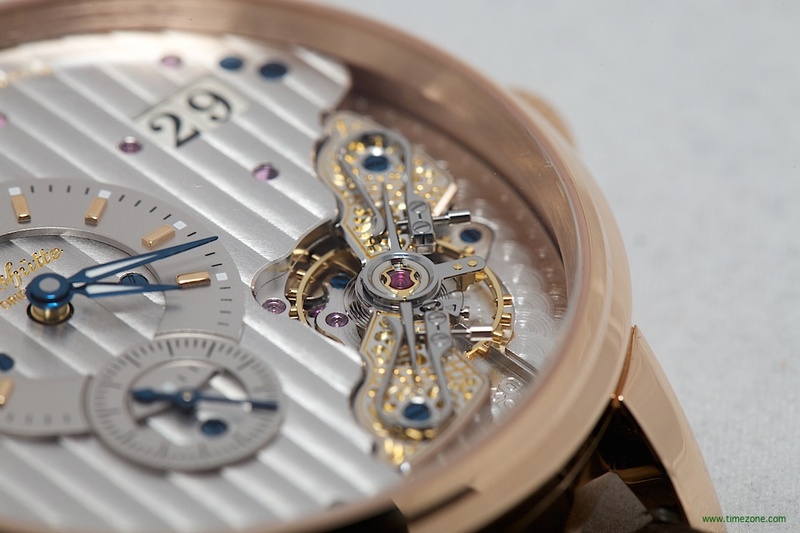 308 brilliant-cut diamonds embellish the case; 118 brilliant-cut diamonds embellish the center of the dial; 74 brilliant-cut diamonds embellish the lugs; 12 brilliant-cut diamonds are hand set in the index and 1 diamond is mounted into the crown. The quick-change strap offers flexible options. Retail is $44,100.